Ben Nunery and his daughter Olivia recreate family moments as they say a bittersweet goodbye to an old house filled with memories. 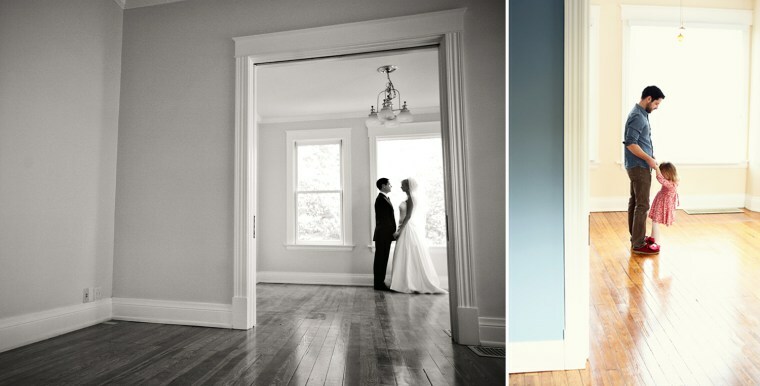 When Ben Nunery and his wife Ali got married in 2009, they had just closed on their new house, so they took the opportunity to take their wedding photos in the empty home. 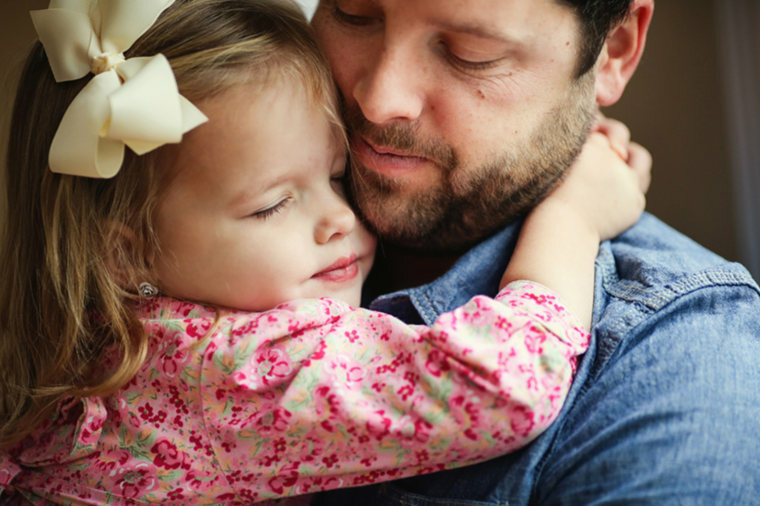 Just four and a half years later, after Ali's tragic death from cancer at at the age of 31 in 2011, Ben and his young daughter Olivia got ready to move to a new house, but they wanted to say goodbye to the old one. So they recreated these special photos from Ben and Ali's wedding day, as a way to remember the happy times. The images were recreated by Ali's sister Melanie, who had photographed the couple on their wedding day. On the left, Melanie's photo of Ben and his wife Ali in 2009. 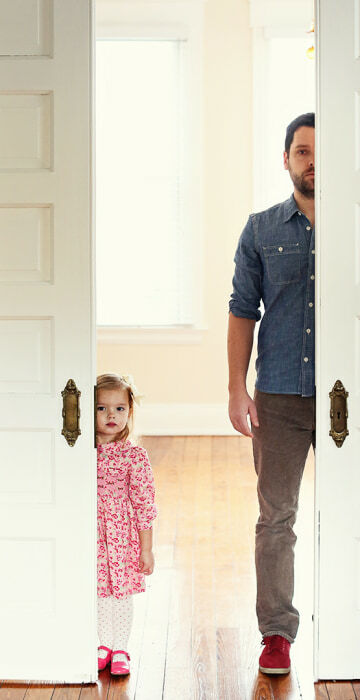 On the right, Ben and his daughter Olivia, in the same doorway, in Dec. 2013. Olivia and her dad, Ben. 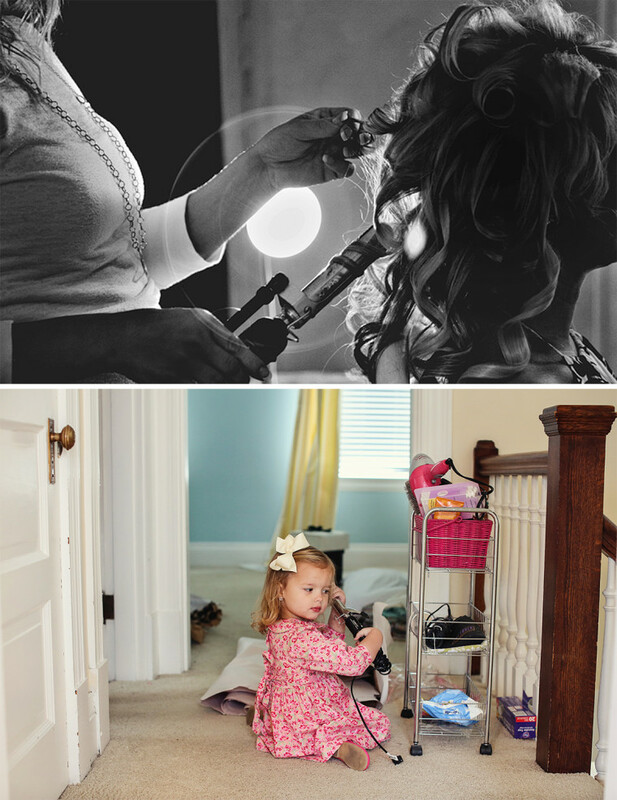 As they went through the house, Olivia stopped to play with the curling iron that had been her mother's. Above, a similar photo of her mom Ali getting ready on her wedding day. On the left, Ben stands in their empty house in 2009 as his wife Ali comes down the stairs. 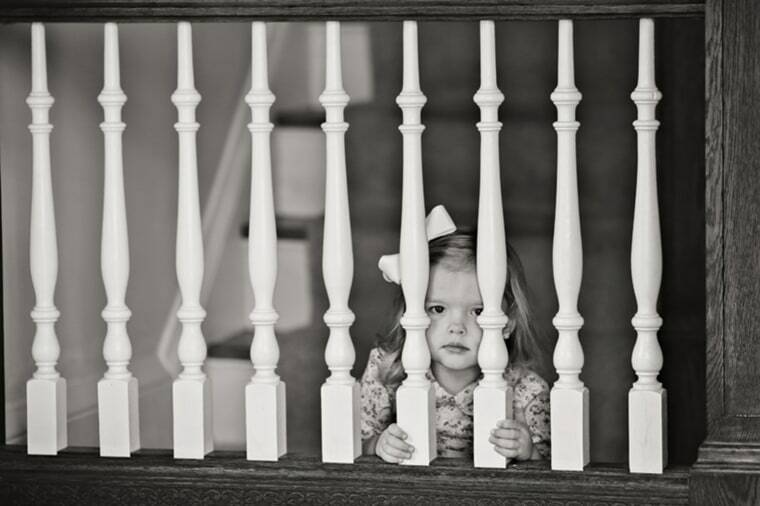 On the right, he and daughter Olivia play on the same stairs in 2013. Ben wrote about the experience, saying: "Many people have asked me how I felt while doing that photo session. What I want them to know is that this isn't a story about grief and loss and hurt. Yes, I've gone through those emotions and still do but that's not what I want people to see in these photos. This is a story about love." "The memories of Ali don't live in that house," Ben wrote of his late wife, Olivia's mother. "They live with us, in our hearts." 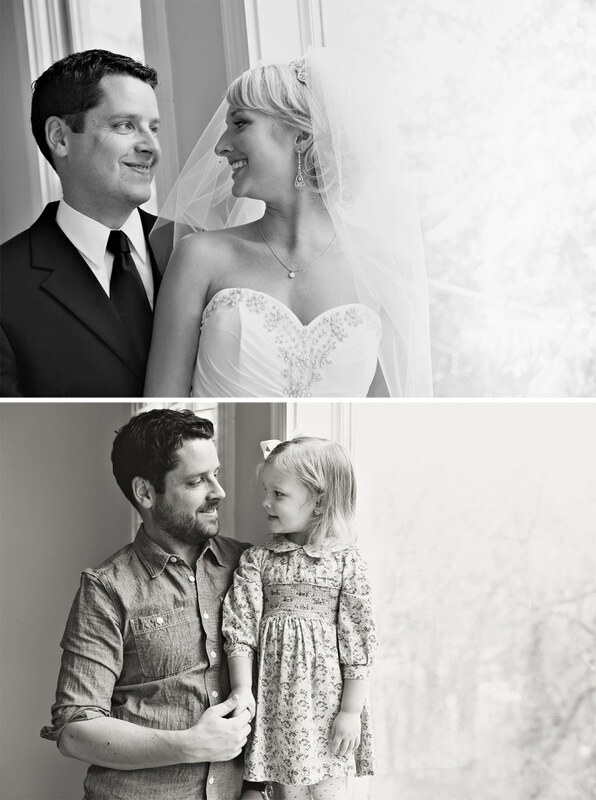 Ben and Ali, left, on their wedding day in 2009, and Ben and his daughter Olivia, right, in 2013. "I wanted to be able to show Olivia the place where her mother and I started our lives together and dreamed of raising children," he wrote. Ali's sister Melanie snapped this photo of her brother-in-law and his daughter dancing in the house. Ben and his wife Ali, left, on their wedding day. 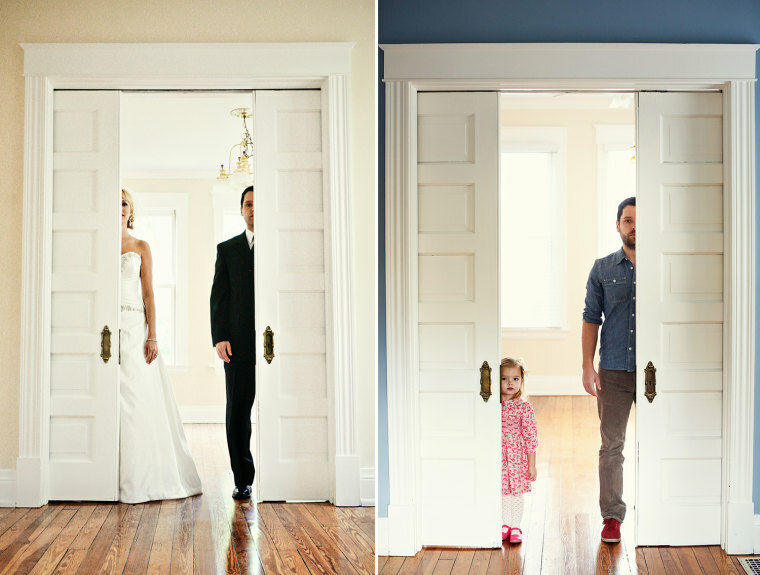 He recreated the shot with his daughter, Olivia, in his wife's memory. "Benjamin, you look like a baby!" wrote his photographer sister-in-law, Melanie, on her blog. 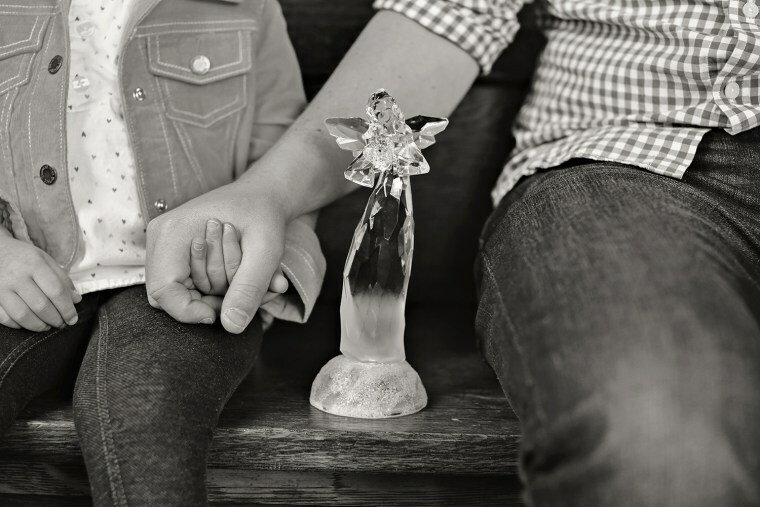 Ben and his daughter, with the glass angel Olivia calls "Mommy." 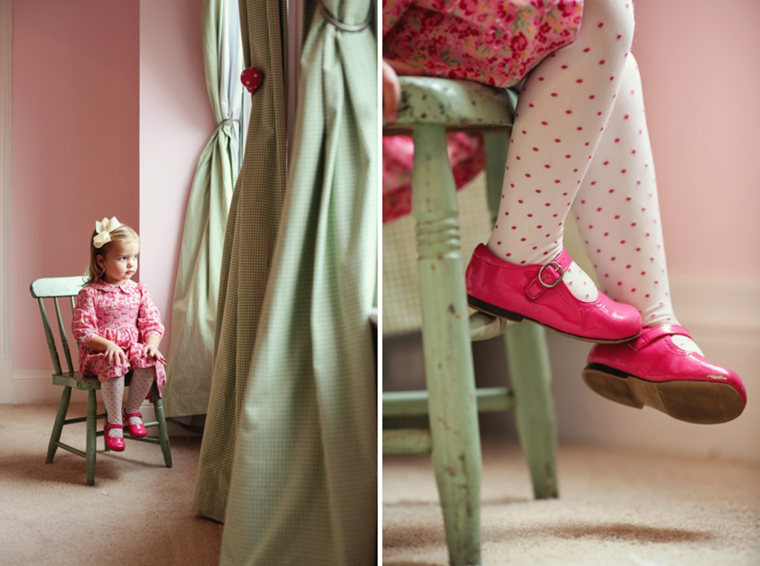 "They talk to her and play with her every day," Melanie writes. Ali's sister Melanie, who took these photos, says she regularly gets "messages/signs" from her late sister, and that feathers often fall out of nowhere. 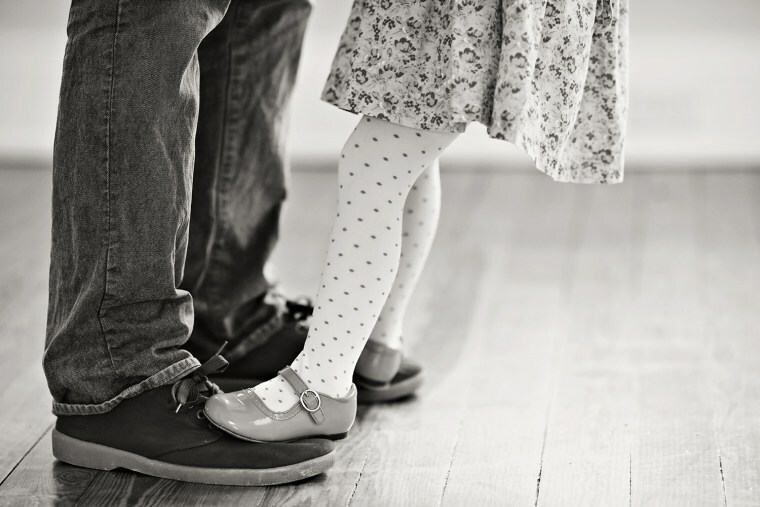 So she was deeply moved when she went to take this photograph in Olivia's room and the little girl bent down and picked up something: a white feather. "Oh hey sis!" Melanie wrote. "Glad you could make an appearance in this sesh." "She was fidgeting the whole time," Melanie writes of Olivia during the photo shoot, "and you can't really tell in still frames but you can in the shot on the right." Of her husband, who came with her to photograph the father daugther pair and captured this shot, she said: "Adam nailed it." Ben learned how to play the wedding song he and Ali danced to - Stevie Wonder's "I Believe (When I Fall in Love it Will Be Forever") on this ukelele, a gift from a friend. "One night in the hospital he used his skills to serenade Ali," her sister remembers. 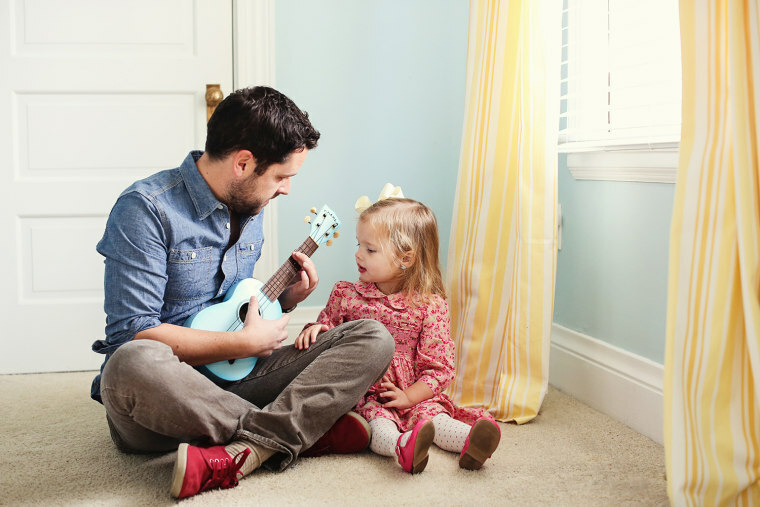 Here, he demos his musical talents for his daughter. "We said goodbye to Ali two years ago, but her presence has remained undeniable in the house," Ben wrote of his wife. 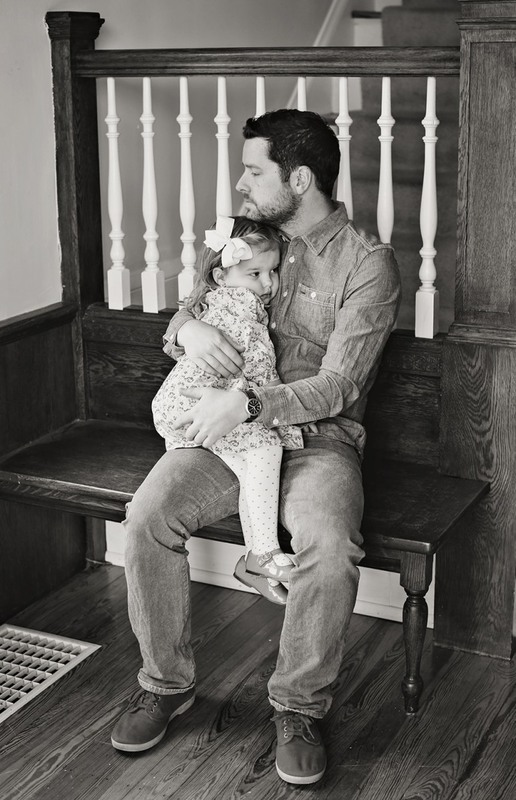 After taking the series of photographs around their empty house, the father daughter duo said goodbye to it and headed into their new life in a new home. "Our lives will continue down a curvy and uncertain path, but Olivia and I will be able to look at these photos and know that for a short time there was a place where I was the luckiest man in the world, even if just for a little while."